LONDON — Even though it's been years since he was actually in the show, Khal Drogo was such an epic Game of Thrones character that his memory is still fresh. And just to make us that little bit more nostalgic, the bearded Dothraki — or rather the bearded legend that played him, Jason Momoa — recently took a trip to Ireland and went for a drink with the show's creators. He seemed pretty excited to be back in Ireland. Here he is enjoying a Guinness with Dan Weiss and David Benioff. 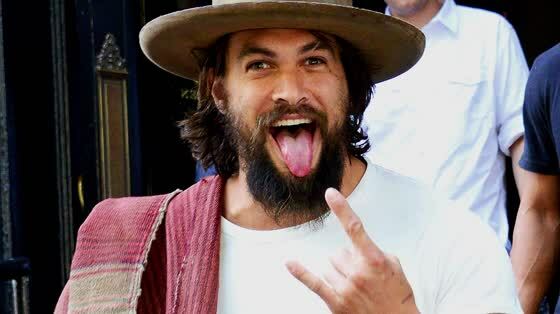 Clearly, Momoa is still pretty good buddies with the show's cast and crew. Here's another image he shared earlier in the summer of himself with Jonathan Pryce, who played the High Sparrow.